Northern Hills Training Center currently provides supports to approximately 135 individuals across the Spearfish and Belle Fourche areas, so that these individuals can become active members of their community. In order to provide a variety of choices for people, these supports are offered in a variety of residentials settings, such as group homes, supervised apartments, traditional community housing, and family homes. Quarq Technology (SRAM LLC) – Quarq Technology of Spearfish is a bicycle component company that manufactures a meter to measure and improve a bicyclist's capabilities. This product is used by individuals competing in bicylce races and is venturing into the mountain bike scene. Black Hills Honey Farm (BHHF) - Black Hills Honey Farm is a local apiary whose bees produce honey products from sweet clover found in the Spearfish area. In addition to honey, BHHF uses the honey and wax to produce all natural salves and balms. 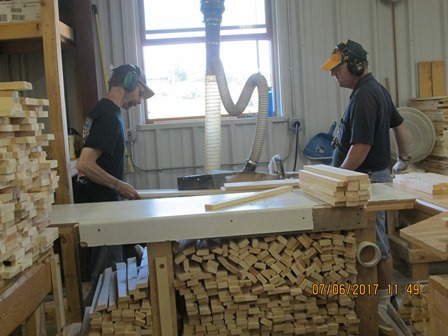 Spearfish Forest Products--This Spearfish saw mill has an annual production exceeding 100 MMBF of boards and battens, of which 1 x 4, 1 x 6 and 1 x 8 ponderosa pine goods are the primary products. Spearfish Forest Products is the largest facility of the five businesses owned by Neiman Enterprises, Inc.
To offer a service of "giving back" to the community, NHTC has created different volunteer opportunities, and are currently volunteering with Meals on Wheels and Black Hills State University. We hope to expand our volunteer services across Spearfish to show that NHTC and the individuals we support care about the community we call home. NHTC offers an array of job opportunities that occur in our community. Each job crew/enclave is staffed with a job coach who provides transportaiton, teaches job skills, ensures that the end product is satisfactory for the businesses that employ NHTC individuals, and that each member of the crew is having fun and finds their work rewarding. NHTC has an excellent rapport with the businesses we work for. We often hear and are told that we are an excellent addition to their business and that they wouldn't know what to do without us. NHTC has job crews and enclaves in the following Spearfish businesses: Black Hills Pure Water Bottling, U.S. Forest Service- Northern Hills Ranger District, Perkins, Matthew's Opera House, All Angels Episcopal Church, U.S. D.C. Booth Fish Hatchery, City of Spearfish, Spearfish Rec & Aquatics Center, Day's Inn, in-house yard/moving crew, and Treasures Thrift Store. NHTC has a goal to help those who desire work in their community to achieve that goal. NHTC, the individual receiving employment services, and the local businesses have a great sucess record of helping individuals work in an integrated work setting and earn at least minimum wage. We use the services of Vocational Rehabilitation to begin the path to employment. NHTC has three Employment Specialists who assist individuals get established through situational assessments, job shadowing, and job coaching. Employment Specialists have taken a test and have become Certified Employment Support Professionals (CESP) through the Employment Support Professional Certification Council. NHTC supports individuals working at the following Spearfish businesses: City of Spearfish, Spearfish Rec & Aquatic Center, Pizza Hut, Pizza Ranch, Welcov Health Care, Quik Signs, Bunky's BBQ, Walmart of Spearfish, McDonald's, Burger King, Dollar Tree, Safeway, Spearfish Nutrition Site, Mr. Movies, and Prairie Hills Transit. For more information about supported employment services, please visit http://abilityforhire.com/. 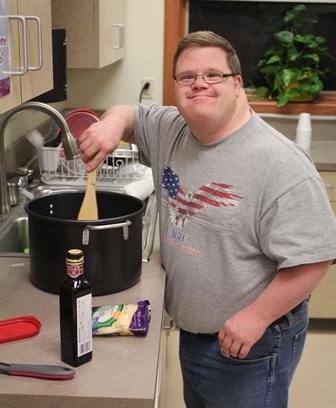 Connections Alternative Day Habilitation Services are designed to provide a comprehensive support system for individuals who are unable or choose not to participate in traditional day programs or work on a consistent basis. Alternative Day Services are available to support individuals in their pursuit of personal achievements. We encourage individuals to achieve greater independence and explore new interests and opportunities. The Connections Alternative Day Program strongly advocates the use of the community and its resources. Whenever possible, individuals are encouraged to access community activities, events and settings to further develop skills and to achieve personal goals and objectives. Community involvement in conjunction with Person Centered approaches serves to promote confidence and inclusion. The Tinton program at Northern Hills Training Center provides an employment opportunity for people in a highly supervised and structured environment. 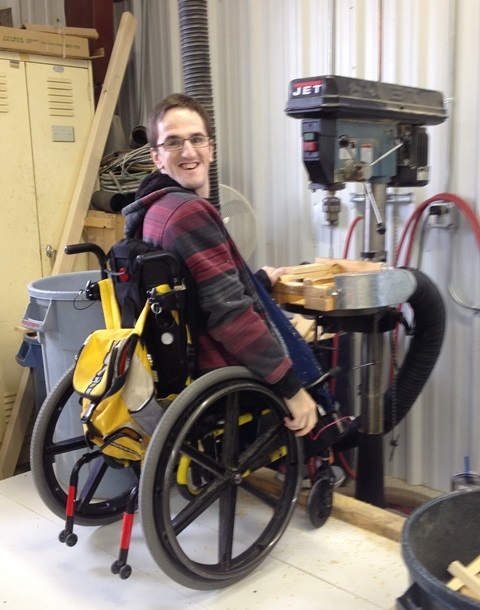 People have the opportunity to learn important job skills in a woodshop setting. The program supplies stakes ranging in size from 6 inches to 4 feet long to South Dakota, North Dakota and Wyoming. They are used by the Forest Service, the Bureau of Land Management, Department of Transportation, the mining and petroleum industry and engineering firms. Please contact Gary Pummel pummel@nhtc.org if your business is seeking these types of products. Other products produced in the Tinton woodshop include specialty pallets, a wedge used in the mining industry to hold blasting cable wire and battens used in the lumber industry. The Quality Support Specialist is a primary advocate for the person supported and ensures that what is important to a person and what is important for a person is identified and addressed. External Case Management is responsible for the facilitation of an annual Individual Service Plan (ISP) meeting, and will work with the Quality Support Specialists to set up the meetings for the person supported and their team. During this meeting, the person and the team discuss, create, revise, and change the ISP as needed. The team may also meet at anytime throughout the year to discuss specific issues or changes as requested by any team member. The medical/nursing services program at Northern Hills Training Center supports people to ensure their best possible health. The medical/nursing staff supports people in assessing their health care needs and assisting them to access the quality health care services available in the Spearfish community. This includes assisting individuals in scheduling appointments with their primary care physicians, audiologists, mental health counselors, psychiatrists, physical therapists, nutritionists, speech/language therapists, and other health care professionals. If required specialty services are not available in Spearfish, people are assisted to access them in Rapid City or other metropolitan areas. The medical/nursing services staff currently includes one Registered Nurse and six Medical Service Assistants.